Say no to last-minute Christmas shopping! As they say, the early bird catches the worm. We’re not saying you need to get started in July— though kudos to you if you did! But don’t wait until the last minute to do your shopping. This will just lead to buyer’s remorse and overspending. Nothing beats coming in prepared when you want to get things done quickly. If you already know what you need to buy, do your research and so you’ll know exactly when and where you can get them before you even step foot inside the mall. One way to avoid the hordes of crazed shoppers come the holidays is by doing your shopping at home. You’ll have a lot more breathing room to browse for items, and many online stores offer great discounts during the holidays as well. Bonus: you don't even have to get out of bed! Weekends and weeknights are the busiest times during the holidays. 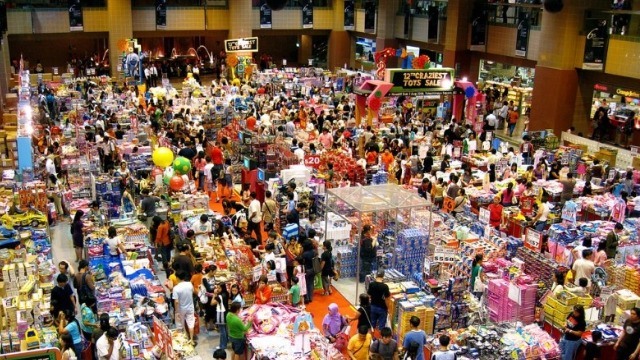 Avoid the shopping rush and come on weekdays instead, preferably in the early morning or afternoon. Take a page from Santa and make a list of the people you're giving gifts to, which is useful for figuring out your shopping priorities ahead of time. Not only will this make gift-hunting loads faster, you’ll also have an easier time sticking to your budget. You can’t really go wrong with gift cards: they’re incredibly practical for both you and your giftee. Not only will buying gift cards significantly cut down your shopping time (and stress! ), they also allow the people you’re giving them to the freedom to get what they want, and when and where they’re getting them. Talk about a win-win situation! More often than not, you'll get caught up in the holiday rush and end up buying things haphazardly. Leave behind the guesswork and last-minute shopping this year and give your friends and loved ones the gift of choice instead by getting them SM Gift Cards! They’re very easy to buy and even easier to give, making them the perfect gift choice for busy individuals who simply can’t squeeze in extensive shopping for Christmas. 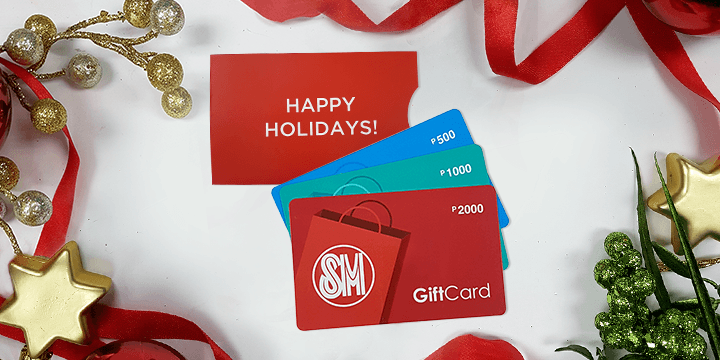 Since recipients of SM Gift Cards, which are available in various denominations, can choose from an endless selection of items sold in all SM retail establishments (including The SM Store, SM Markets, Watsons, Uniqlo, Forever 21, Toy Kingdom, Baby Company and many others), they can be assured they will be getting exactly what they want for Christmas! Hopefully, by taking these tips to heart, you can avoid all the rush and stress this year and have a jolly good time instead! Click here for more information on SM Gift Cards and how to get a hold of them.